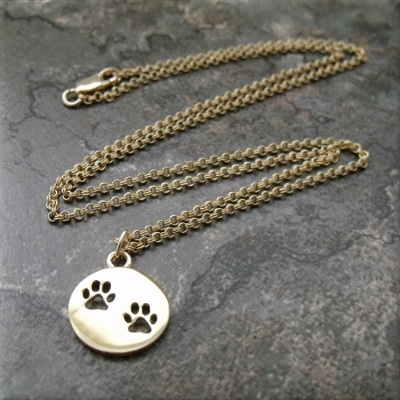 A delicate, gold-plated, round double paw print cut out charm necklace is the perfect way to show off your love for dogs and cats! 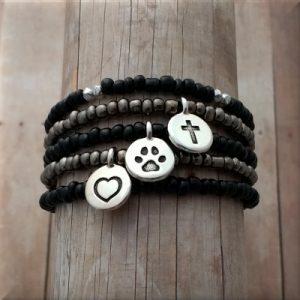 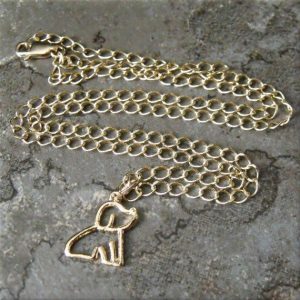 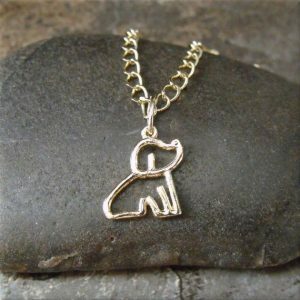 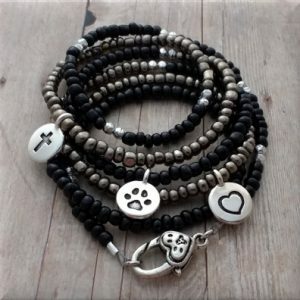 This necklace is sweet and petite and a great gift for any animal lover or dog mom! 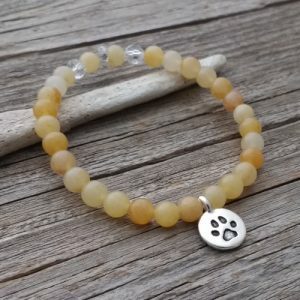 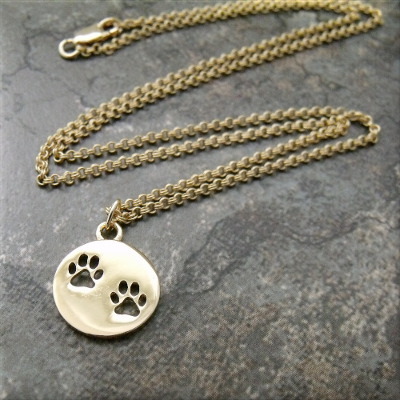 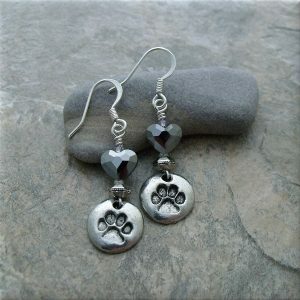 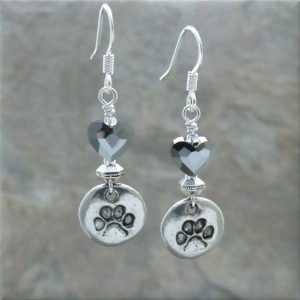 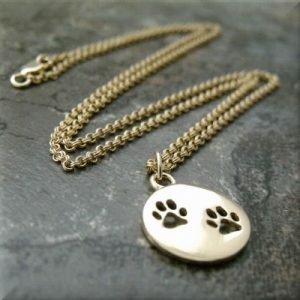 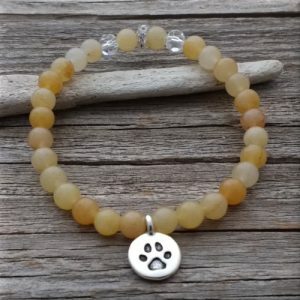 Made of gold-plated brass, the round paw print charm hangs from a double rollo gold-plated chain. 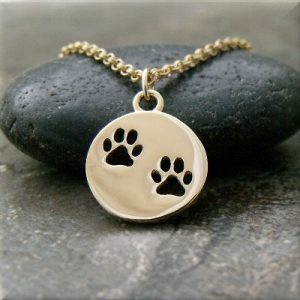 This necklace is sweet and petite and a great gift for any animal lover or dog mom!